The Leading Warehouse Management System (WMS) for High Volume eCommerce, Wholesaler, and Inventory Warehouses. Infoplus Warehouse Manager is the high volume solution for your growing company. From 100 shipments a day to 100,000. Small parcel, USPS, LTL, and more. One production line or hundreds. Infoplus Warehouse Manager is built to handle the inbound receiving, inventory control, fulfillment and customized workflow, barcode, and document needs of todays growing eCommerce, Wholesale, and Inventory Management companies. When it comes to operations, Infoplus WMS has you covered top to bottom, dock to dock. From the desktop to the mobile floor apps, to shipping scales and barcode label printing. WMS does Operations 100%. The more connected a solution is, the more valuable it is. 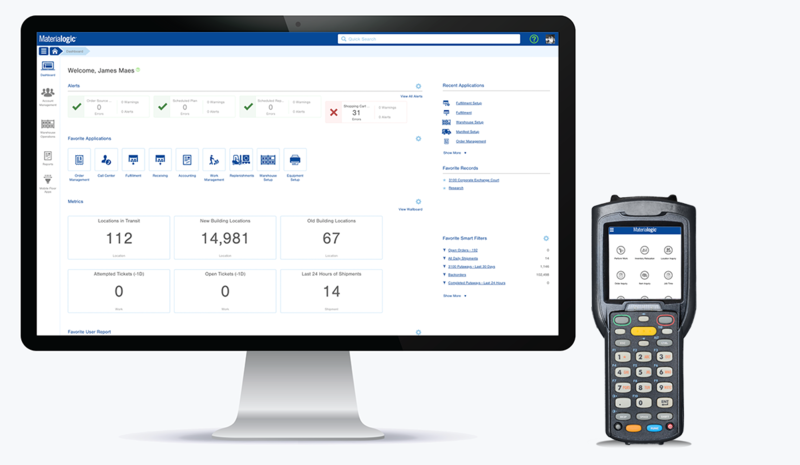 The ability to connect, test, and go live with new Shopping Cart, Marketplace, EDI, Retailer, and Carrier integrations in a matter of minutes is business changing. Infoplus makes talking to the global world easy. It's your data and workflow. It's our job to make it easy for you. Orders, Inventory, Customer Service, Reports, Insights, Workflows and more. A great solution is one that works with your business; grows and molds to it; never constraints it. The Right Team; Right Beside You; Focused on Your Success. It's a Core Value for Infoplus. Your success IS our success. It makes it simple for us. Do what it takes to make you successful. From our products, our people, our policies, and our straight-forward way of treating our partners. Your success IS our success. We focus on doing what we can to help create it. More Features. Fully Flexible. #1 Support Team. Easy to say, hard to believe. Infoplus has more features, better solutions, and the #1 support team in the industry. Get in touch with our team to have a quick and easy conversation. We are a straightforward hardworking midwestern company. We like providing solutions to real needs. We are a company made up of people just like you; from companies just like yours. We love providing solutions to problems. Period. Business is hard enough, don't do it alone. Infoplus is in the business of creating Great Software, Connections, Integrations, Workflows for Operations and Companies. We do it through focusing on solutions, listening to our partners and always making sure that we have the #1 support team in the industry. Your business needs more than just software, it needs solutions. See how we have helped others.